The next generation iPhone is a hot topic these days. Several different companies and tech luminaries has claimed the due date of this mysterious iPhone but we are not yet sure about the exact launching date of Apple’s new iPhone 5/iPhone 4S. Until now the most agreed upon date is October 4th. The change in Apple’s roadmap may be because they want to boast up with something really incredible that is why they are taking there time and not announcing the exact announcement date. AT&T early upgrade policy may happen to be the important clue at the up-coming iPhone launch date. This time we should say thanks to Mat Barry who has reported that the release date for next generation iPhone may likely be October 13th. He didn’t make this claim on his own assumptions rather based his claim on AT&T’s note which appeared on his AT&T account. He reported yesterday that when he signed into his AT&T profile, he saw a message from the company, “you will be eligible for a decreased discount on an iPhone on October 10, 2011,” while his regular update date is due on November 17, 2011. This appears to be first solid evidence we have seen of a release date from one of Apple’s official carrier. These early upgrades are sent to registered users by the carriers to offer them special discounts or offers whatsoever whenever a new product is released. If we make an analysis of the current release date and previous releases, we will come to know that there was a gap of seventeen days between the declaration and the release of iPhone 4, while the gap was 11 days for iPhone 3GS. In iPhone 5 case, the gap will be 9 days between its announcement and release date which is more than acceptable. 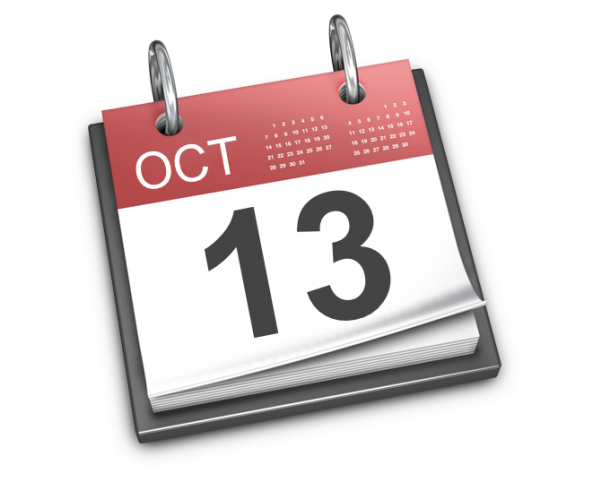 Another important point to be made here is that on October 13, it will be a Thursday, if we recall, iPhone 4 was also released on Thursday. Well with all available evidences and claims, we can say that the fans will desperately waiting for two important dates – 4th October for Apple’s keynote and now 13th October for the launch of next generation iPhone or perhaps iPhones as some reports claim. All those registered customers of AT&T should check their accounts as well and see whether a identical message is sent to them or not. In the end we can just say that this is like many previous claims is just a speculation because this has not been confirmed yet. We are trying to collect some more news on next generation iPhone, so stay tuned!